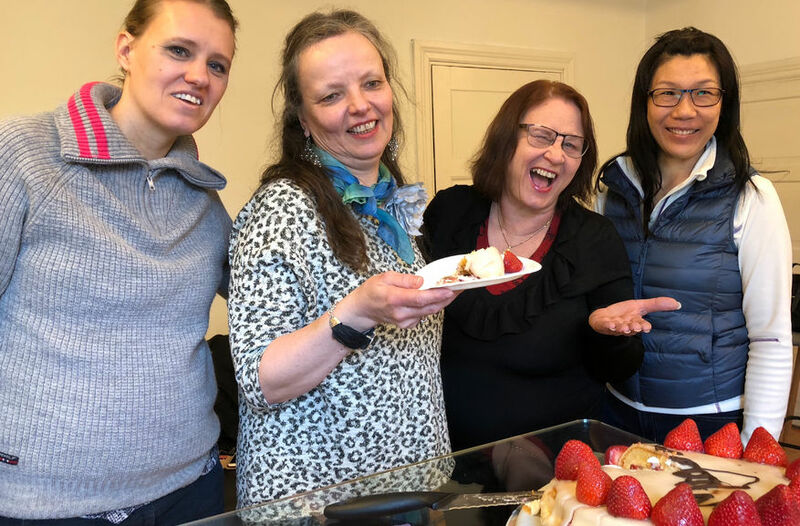 Natalie de Linde, the celebrant Marit Hagen, Gunda Gullbrekken, and Linda Sisoon Tan enjoying the marzipan cream cake. In today’s worship service we had a powerful teaching on different dimensions of praise. The teaching was filled with joy, and this also spilled over into the following celebration of Marit Hagen’s birthday!